With so many places to visit and activities to experience in Albay, Albayanos recommend that you start with these must-see attractions. No other volcano in the world has a cone as perfectly shaped as Mayon. Towering at almost 8,000 feet above sea level, it lies at the center of the three cities and 15 municipalities of Albay. Mayon’s name was derived from the local word “Magayon,” which means beautiful. The volcano is one of the most active in the Philippines. There have been 49 eruptions since the first documented activity in 1616, with the worst explosion occurring on February 1, 1814 and killing some 1,200 people in Cagsawa and Budiao. 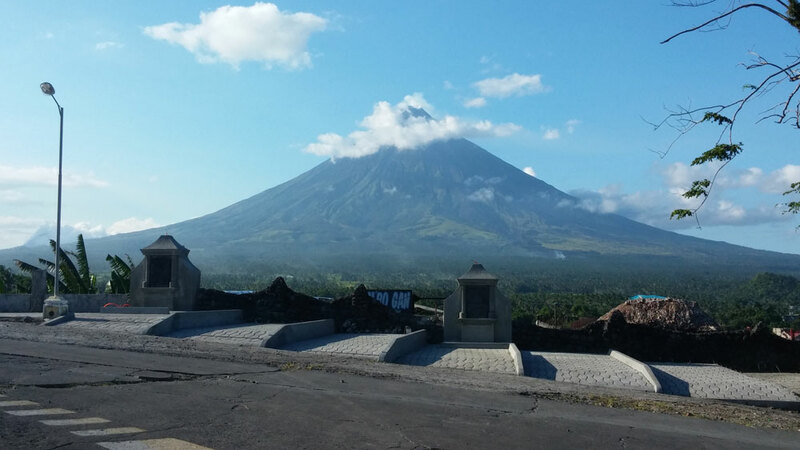 One of the ways to enjoy the majestic view of Mayon is from the Cagsawa Ruins. The Cagsawa Park is a memorial to the townspeople of Cagsawa who perished during the eruption of February 1, 1814. It is one place where Mayon Volcano appears to be a perfect cone. 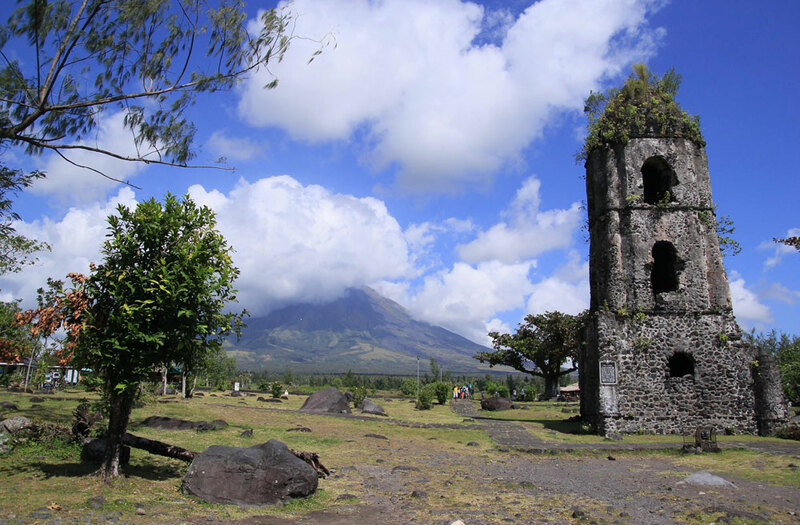 The bell tower of the destroyed Church of Cagsawa, with Mayon in the background, is probably one of the most photographed man-made structure in the country. Within the park are kiosks selling souvenirs, from woodcraft to potteries to indigenous wear to local delicacies. 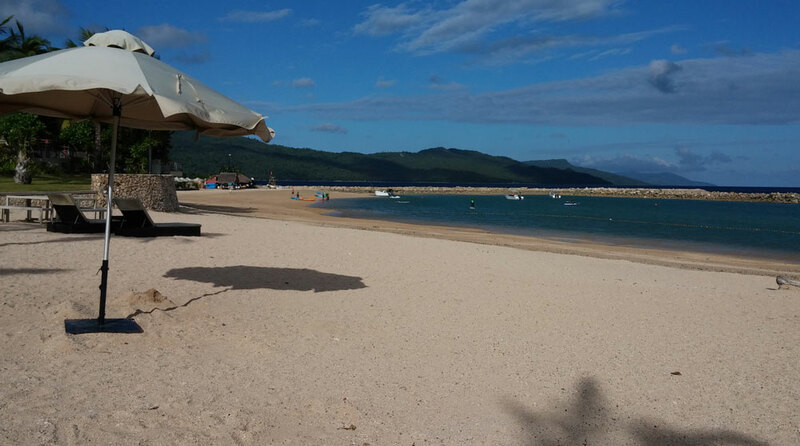 Nearby, there are restaurants and eateries, ice cream and halo-halo parlors, and even a resort with a swimming pool. – Ride a jeepney heading to Daraga marked with any of the following: Malabog, Guinobatan, Camalig. Tell the driver to let you off at Cagsawa Ruins. – If you’re bringing your own transport, just drive west of Legazpi City and follow the road markings that will lead you to the park. A long and winding road leads up to a circular viewing deck constructed on top of a hill in Legazpi City. 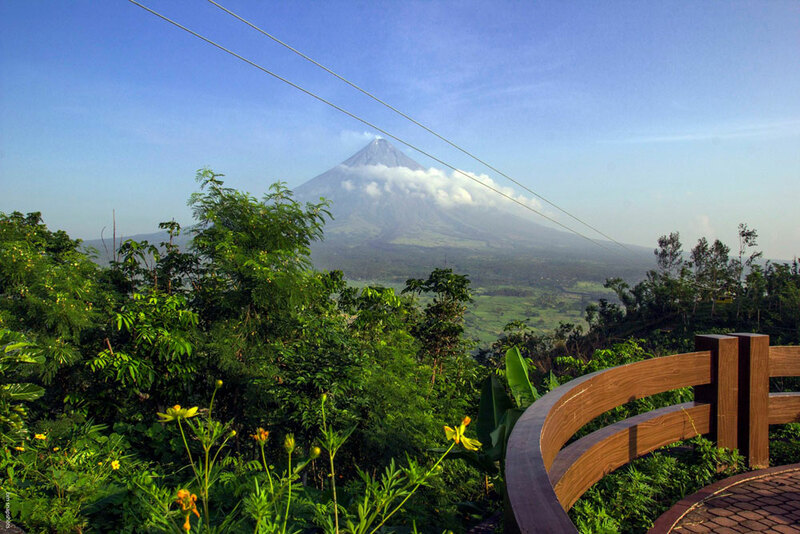 Ligñon Hill provides a vantage view of scenic Legazpi City, Albay Gulf, and Mayon Volcano. 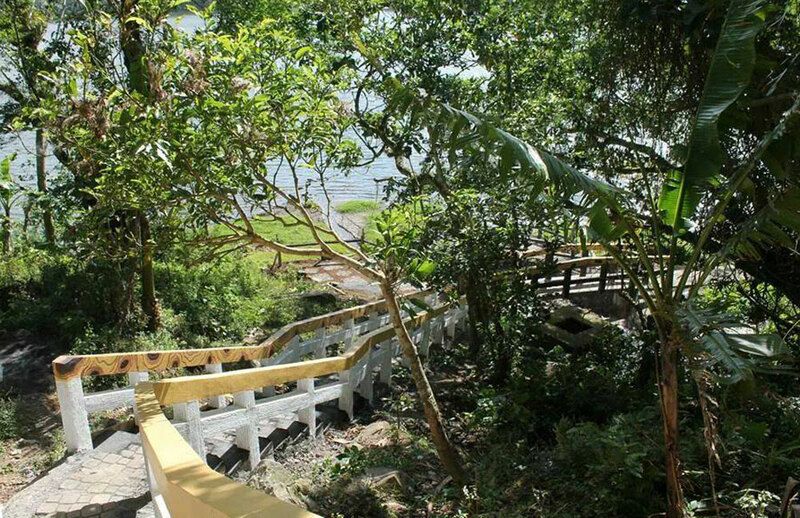 Aside from sightseeing, Ligñon Hill offers enjoyable to challenging pursuits for all types of visitors. Guests can choose from several adventure and extreme sports activities, including a zipline ride, rapelling, biking on gullies at the foot of Mt. Mayon, ATV rides, trail climb, and tunnel exploration. At the concrete pavilion close to the viewing deck, visitors may enjoy the view, take their snacks, buy local products, or view art and photo exhibits by local artists. Operating hours: 8 a.m.-11 p.m.
Joggers are free of charge from 5 a.m.-9 a.m.
– From the Legazpi City Airport: Turn right to Magayon Drive (you will pass through a private subdivision) and then turn left at the junction with Bogtong Road. Continue until you reach the tennis courts, just before the gate to the Albay Wildlife Park. You may start your trek up the hill at the entrance (near the tennis courts). You can also drive your vehicle up the hill. – From Legazpi Port: A Legazpi-Daraga Loop 1 jeepney will take you directly to the foot of the hill. – From Daraga: Take a tricycle from the centro to Tagas and ask the drive to drop you off at the tennis courts. -From Legazpi City: Drive to Tabaco City, turn left after the church, and continue on towards Barangay Comun when you reach the Malinao Rehabilitation Center in Barangay Quinastillohan. -From Ligao, drive along Sabluyon road until you reach Malinao Rehabilitation Center in Barangay Quinastillohan and proceed towards Barangay Comun. Enter the Comun road, turn left and continue driving past the bridge, eroded parts, and some rough portions until you reach a basketball court. Turn left here and proceed up to the wide parking lot, after which you will continue on foot to Vera Falls. 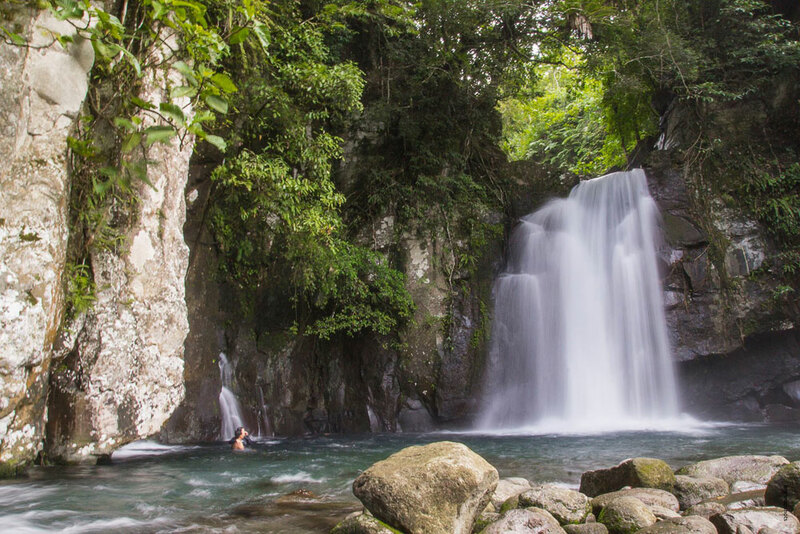 The falls are about 8 kilometers from Tabaco City, an hour and a half drive from Legazpi City and about 45 minutes drive from Ligao City via Sabloyon Road. Unlike any other hill, Kawa-Kawa has a concave or cratered top instead of a convex or rounded one. It got its name from this curious shape that resembles a “kawa” or cauldron. This hill in California Village, Barangay Tuburan, Ligao is 236 meters high. From the topmost part of Kawa-Kawa, visitors have a clear view of the whole of Ligao and neighboring towns as well as sprawling green fields and nearby Mt. Masaraga and Mt. Mayon. 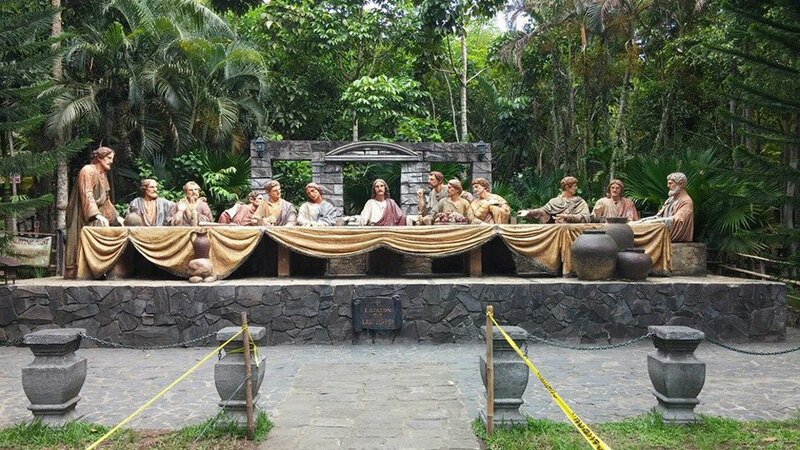 Kawa-Kawa is also a popular pilgrim site because of the larger than life statues depicting the 14 Stations of the Cross decorating the last 500 meters to the crater and all around its 836-meter rim. One of the activities at Kawa-Kawa is horseback riding. The Philippine Eagles Scout Advancement Camp and Facilities and a volleyball court can also be found in the area. The hill slopes are planted with dinorado (high-quality mountain rice), pineapple and vegetables to promote agriculture and environmental awareness. Kawa Kawa Hill is two kilometers away from Ligao’s city center. 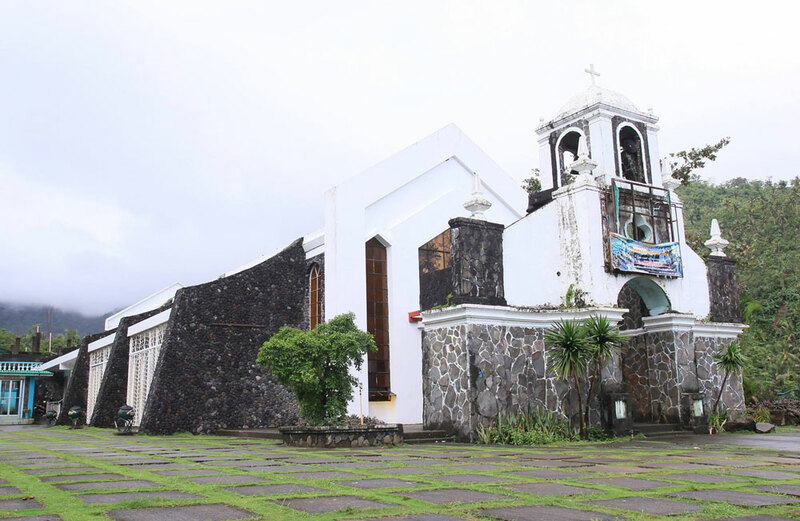 Ligao is 27 kilometers away from the Provincial Capitol of Albay and approximately 30 kilometers from Legazpi City. Vans and jeepneys regularly serve the Legazpi-Ligao route. You can find these vans and jeepneys at the Legazpi Grand Central Terminal. Located in Victory Village, Embarcadero de Legazpi is a premier waterfront lifestyle hub along the harbor in Legazpi City. Open from 10 a.m. to midnight, the mall gives local and foreign tourists an array of lifestyle options — from dining and shopping to entertainment. A 105-square meter event center called the Celebration Plaza serves as venue for conventions, fashion shows, beauty pageants, competitions, and other gatherings. Other exciting offerings of Embarcadero: 90-feet high skywalk with a view of Albay Gulf, cityscape, and world-famous Mayon Volcano; 59-feet Climbing Wall and a Bungee Trampoline and a trampoline chair; 350-meter zipline from a lighthouse; kart race and Segway rides; water activities like parasailing, jetski, paddle boat and water jeep. Also found at Embarcadero are a marine-themed hotel called Ellis Ecotel and Suncore Diagnostic Clinic and the Excelsior Spa. 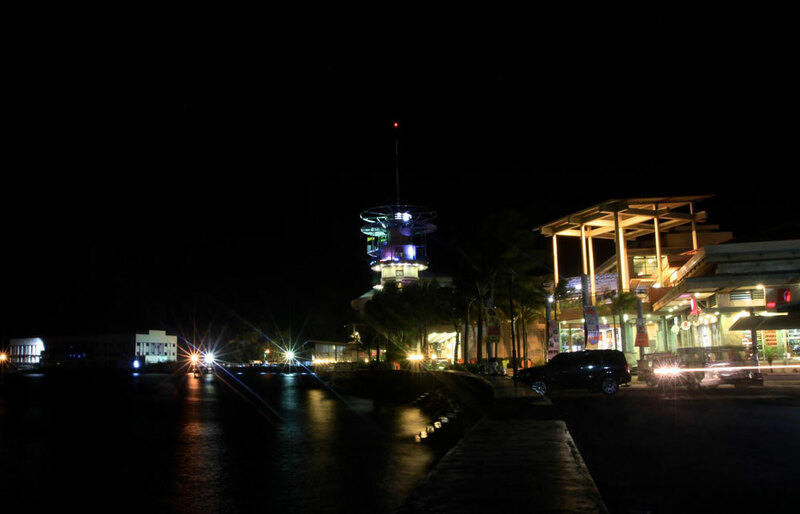 The Embarcadero is a short distance from the Legazpi Airport. There are tricycles or taxis that can bring you there directly from the airport. Within the city, take a jeepney with a Legazpi or Legazpi City route that goes directly to the boulevard entrance. This small church in Tiwi is home to the miraculous image of the Nuestra Señora de Salvacion. Every third Saturday of August, thousands of pilgrims flock to Joroan Church to pay homage to the patroness of the Province of Albay (Diocese of Legazpi). During the feast of Our Lady of Salvation, also known as Our Lady of Light, pilgrims from different parts of the country participate in a maritime processions and a concelebrated mass on the shores of Sogod Beach. 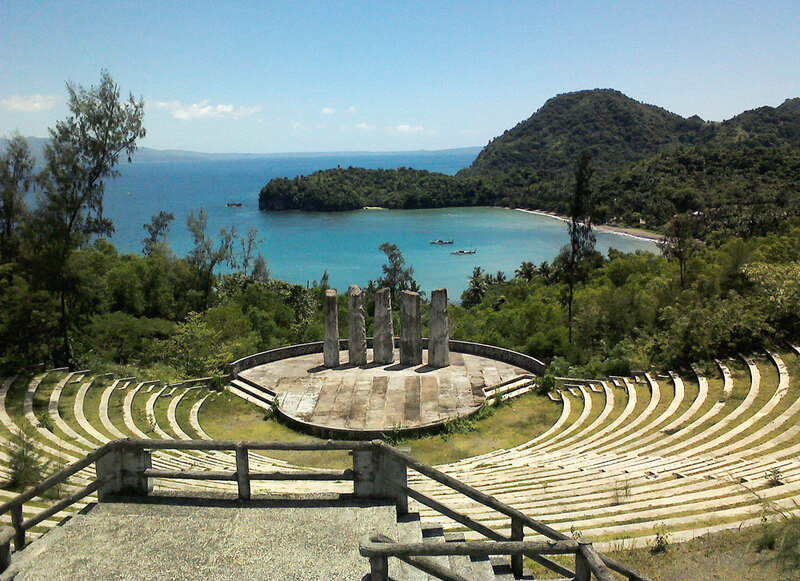 By private transport: Tiwi is a 45-minute drive from Legazpi City. Upon reaching the town center, head north for about two kilometers to reach the turn for Joroan. Just follow the direction of the marker and drive another five kilometers on a paved road to reach your destination. By public transport: Vans for hire leave for Tiwi from the terminal in Legazpi City. Ask to be dropped off at the town center or at the final stop. Take a jeepney and get off at Joroan crossing. You know it’s the correct stop when you see the San Isidro Labrador chapel. From there, it’s a short tricycle ride to the Joroan Church. The world’s smallest commercially available fish (Pandaca Pygmea) makes this mountaintop lake in Barangay Danao, Polangui its home. The rare tabios or sinarapan, which is one of Bicol’s indigenous delicacies, is usually cooked wrapped in banana leaves and steamed or in coconut milk. Anglers as big as eels as well as other kinds of fresh water species can also be found here. Danao Lake is located 500 meters above sea level and about 20 kilometers away from the town center. It is surrounded by lush and verdant vegetation where animals graze freely, usually when rice-planting season is over. The town of Polangui, where Danao Lake is situated, is around 40 kilometers from the Albay capital of Legazpi City. Vans bound for Polangui park at the Legazpi Grand Central Terminal. There are also jeepneys that ply the Legazpi to Polangui route. Located at barangay Danao, Polangui, Albay with a land elevation of about 500 meters above sea level and with a distance of about 20 km. from the town. Lake Danao is still about 20 kilometers from the town of Polangui and involves a 30-minute hike through carabao trails and abaca plantations. It is best visited with a local guide in tow. 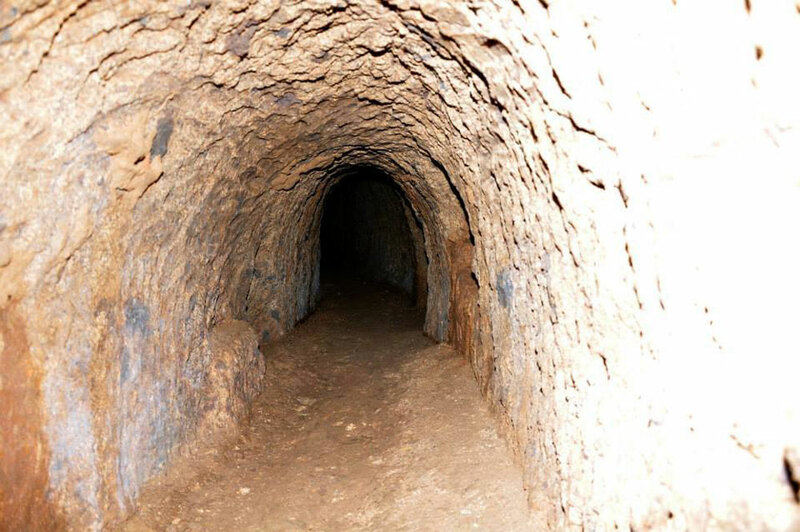 This network of subway passages constructed by Japanese soldiers in Camalig, Albay served as their pathway to the different parts of the province and refuge from American bombings. The tunnels can be found beneath Mount Quitwinan (oftentimes spelled as Kitwinan), which provides a vantage view of Mayon Volcano and Legazpi City. Mount Quitwinan occupies part of the village of Tinago, Ilawod, Gotob, Mina, Gapo and Sumlang in Camalig and even a portion of the adjacent municipality of Daraga. The town of Camalig is about 15 kilometers from Legazpi City. Jeepneys from Legazpi that are bound for towns in the third district of Albay, including Guinobatan, Ligao City, Polangui, Libon, Oas, Pio Duran, pass by the Camalig town center. The tunnels are accessible via the access road going to Mt. Kitwinan. Visitors should pass by the Camalig tourism office for more information about exploring these tunnels. Misibis Bay is a 5-hectare high-end resort along the southern tip of Cagraray Island in Bacacay, Albay. The island resort may be reached through a scenic travel by land (45 minutes), by helicopter ride (15 minutes), or fast watercraft (30 minutes) from the Embarcadero in Legazpi City. Accommodation facilities range from rooms to suites to villas, and amenities and facilities include a spa, fitness center, pool, activity center, as well as restaurants and bars. Water activities at Misibis Bay include kayaking, banana boat rides, wind surfing, hobie cat sailing, paddle surfing, jet skiing, diving, and sunset cruise. On land, visitors can explore the resort grounds using the Segway, go on a scenic ride around the island aboard a dune buggy, make their way to the Eco-Energy Park on an ATV, or zip their way across a 200-meter or a 450-meter line from the Eco-Energy Park. The Cagraray EcoPark is a nature camp on Cagraray Island, which is connected to mainland Albay by the Sula Bridge. It offers adventure activities such was wall climbing and zipline rides. A signature spot within the park is the amphitheater, which is built just near the entrance to the park. Other noteworthy structures are the chapel, hanging bridge, and solar-powered lampposts. – Take the Tabaco-Tiwi Road from Legazpi City. Take the turn-off to San Isidro Road and continue on towards Sto. Domingo Church. Turn right after the Sto. Domingo Municipal Hall, and then turn left. You know you’re in the right track if you pass by the barangays of Calayucay, Salvacion and Buhatan and reach Sula Bridge. – You can also reach the Eco-Energy Park via the motorized boat that makes a regular trip (one a half hour) from the port of Legazpi City. Download Albay Guide to get a comprehensive and portable guide to Albay.